The Dana School of Music at Youngstown State University hosts the annual Horn Workshop, noon to 5 p.m., Sunday, Jan. 10, 2016, in Room 2326 of Bliss Hall. The free event is geared toward high school and college horn players. Students should bring their own instruments but do not need to bring sheet music. The clinic includes a recital by Stacie Mickens, Dana School of Music assistant professor of Horn, and Lowell Greer, guest clinician. Free parking will be available in the M-4 and V-4 surface lots along Wick Avenue. While reservations are not mandatory, students are encouraged to confirm attendance by emailing Mickens at srmickens@ysu.edu. Greer is a recording artist, international soloist, natural horn pioneer, and Hultgren Scholar. A Wisconsin native, he began violin studies at age 4 and took up horn at age 12 due to a hand injury. Greer joined the Detroit Symphony in 1972 as assistant principal. In 1978, he accepted the position of principal horn of the Mexico City Philharmonic and began to pursue his solo career. In 1980, he moved to Europe and performed in Belgium as guest principal horn of the Antwerp Philharmonic/Royal Flemish Orchestra. He returned to the United States in 1984, where he served as principal horn of the Cincinnati Symphony until 1986. He also performed as principal of the Toledo Symphony from 1990 to 1997. During this time, he won seven first prizes at six prestigious international horn competitions. 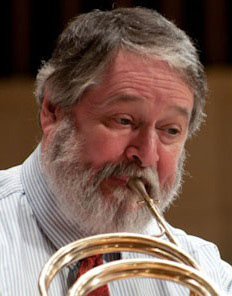 As a soloist, Greer has performed on natural and modern horn with some 50 orchestras in the United States, Canada, Mexico, and all across Europe. Greer has taught at Wheaton College, Oakland University, Interlochen Arts Academy, the School for Perfection in Mexico City, the University of Cincinnati, the University of Michigan, and at the Carl Neilsen Academy in Odense, Denmark.